Should I Shave My Cat to Keep Her Cool in the Summer? This retired Japanese police officer has a gazillion Hello Kitty dolls and it’s not weird at all. 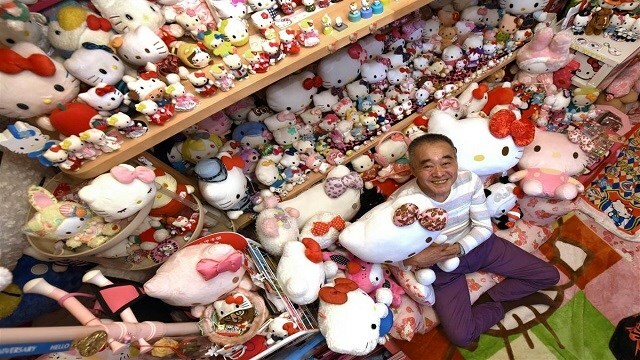 Masao Gunji is the new Guinness Book of World Records holder for the largest Hello Kitty collection. 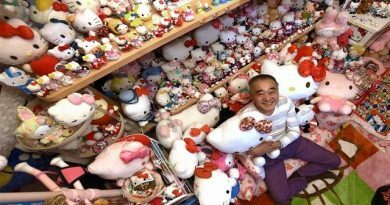 With 5,169 Hello Kitty items including plushies, toys, towels, and bento boxes, just to name a few, Gunji and his wife have spent 35 years and 30 million yen ($267,000) on their labor of “kitty” love. They even have a pink Hello Kitty house, dubbed The Pink Palace, to house their vast collection. I can’t think of a better way of expressing it, can you? Let’s just admit it — Hello Kitty makes everybody happy. I must admit, as I was reading about Mr. Hello Kitty himself, I had a little fantasy bubble above my head — a picture of a stern, uniformed police officer bowing politely and handing me a traffic ticket with a tiny Hello Kitty watermark in the corner. And then a close-up of my face as it goes from frowny-face to happy-face! 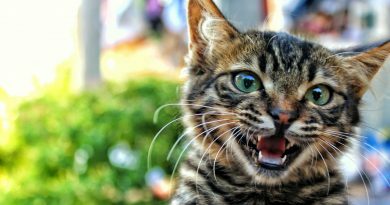 KittyMews.com earns a small commission for our endorsement, recommendation, testimonial, and/or link to any products or services from this website. We also earn a small commission for any purchase you make from Amazon within 24 hours of clicking one of our Amazon links. Your purchase helps support our work in bringing you lighthearted information about cats around the world. Prices are exactly the same for you if your purchase is through this site or from Amazon directly. Kittymews.com is a participant in the Amazon Services LLC Associates Program, an affiliate advertising program designed to provide a means for sites to earn advertising fees by advertising and linking to Amazon.com. 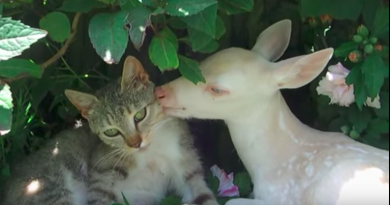 Copyright © 2019 kittymews | Cat News from Around the World. All rights reserved. Designed by Williamston StartUp Marketing.